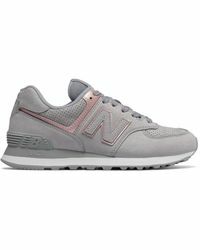 Refresh your footwear line-up with New Balance's 574 trainers. 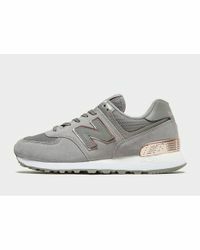 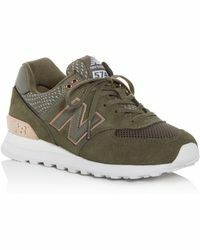 Taking inspiration from the label's running shoes, these 574 trainers balance form and function with its signature 'N' motif on each side and Encap midsoles, which provide soft cushioning and support in all the right places. 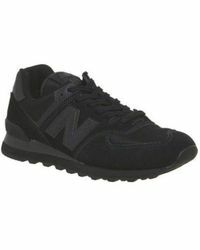 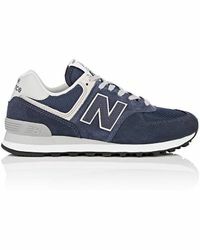 Sporty and stylish, New Balance's 574 low-top trainers are loved for their cool texture and classic design. 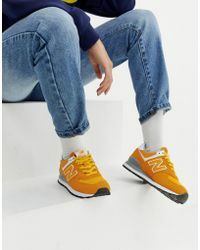 Explore the collection for bold and pared-down versions of this street-style favourite.
" 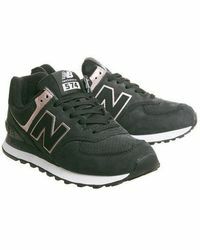 574 ""color Canvas Pack"" Infant"
" 574 ""color Canvas Pack"" Pre-school"